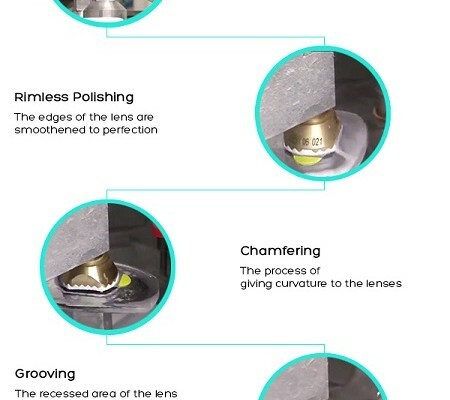 Inspiring the youngsters to give up on old-fashioned eyeglasses used for vision correction, the brand crafted the first ever contact lenses using Poly-HEMA in 1971. Since then, there’s been no looking back. Fusing exceptional craftsmanship with cutting-edge technology, Bausch & Lomb has always been known to deliver the best of products for people suffering from vision defects. Targeting the young and ambitious individuals, the brand has been successful in offering the most unbeatable eye health care services. Taking a step forward in the right direction, Bausch & Lomb has recently launched the brand new iconnect contact lenses. Especially created keeping the young and passionate individuals in mind, Bausch & Lomb has fashioned this collection with a single objective in mind – to provide perfect visual clarity at an extremely affordable price. Designed with Hilafilcon B, the iconnect contact lenses promise superior comfort as they are ultra-soft and supple in their texture. Constituting 59% of water content, the iconnect contacts can be worn very easily, even by beginners. 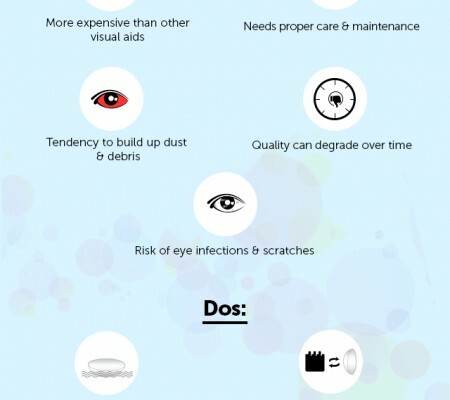 As mentioned above, the iconnect contact lenses are meant for 30 days of disposable use. Since the youngsters tend to follow the latest fashion trends, they can switch between different varieties of contact lenses and experiment with their looks. Since the modern iconnect contact lenses have been created keeping in mind the contemporary youngsters, they have been placed in a highly affordable price bracket. More so, beginners as well as the habitual eyeglasses wearers can relax, as the switch to contact lenses will not hit their pockets hard. 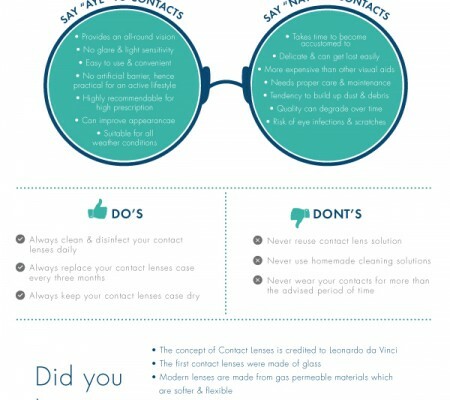 The pioneers of the eyewear industry have kept the risk factor at bay with these iconnect contact lenses. Extremely soft in their texture and though highly affordable, the iconnect contact lenses from Bausch & Lomb do not compromise with the hygiene of your eyes. With the help of state-of-the-art technology, they have been crafted to take extra care of the hygiene of your eyes and create no sense of discomfort. Targeting the college goers and young professionals, the benefits of switching to a fresh pair of iconnect contact lenses are many. The first and the most important feature which the contact lenses are embedded with is the possibility of acquiring a peripheral vision. Since contact lenses sit directly on the cornea, they conform to the curvature of the eyes and hence provide a 360 degree crystal clear vision. A pair of eyeglasses is incapable of providing an all around clear vision since they cover just the front part of the eyes. Secondly, since the young minds are fond of indulging in sports-related activities, there is a risk of having caused damaged to their eyeglasses or sunglasses while playing. So, contact lenses have an upper hand here too. Thirdly, whatever the weather conditions, there is no chance of the contact lenses fogging up and creating a blur in the vision. On the other hand, eyeglasses are capable of getting affected by weather conditions. So, three-zero it is! Now that you know what Bausch & Lomb has to offer to bestow the sharpest and clearest vision, get your hands on a pair of two of these coeval iconnect contact lenses and enjoy perfect vision.